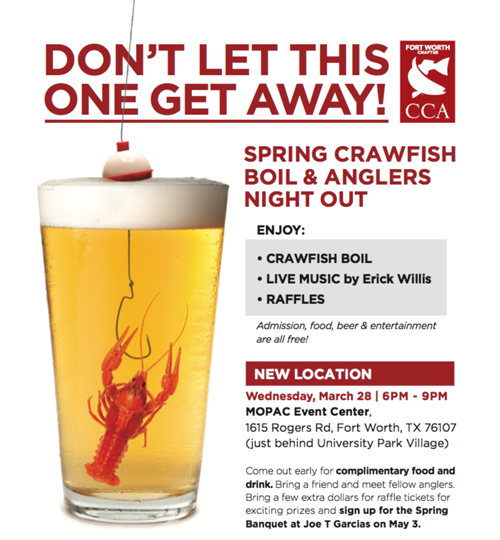 CCA Fort Worth – Free Food and Beer – What More Do You Want? You know, I never really explored saltwater clubs here, so far inland. But maybe it is time to wash down (yeah that is part of the deal) some crawdads with a tiny bit of beer? Maybe I will see you there? Fort Worth still has it going on.